Welcome to Lakeway Cosmetic Dentistry, where we use the latest dental technologies to help patients achieve their dream smiles. Dr. D'Alfonso provides a comprehensive range of dental services, so that we can meet all of your needs in our comfortable, conveniently located office. 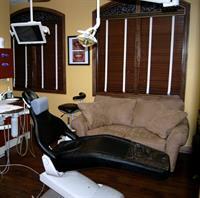 Our Lakeway dental team provides preventative and restorative dental services for the entire family. From semi-annual dental cleanings, to white fillings and crowns, to root canal therapy, we have the treatments you need to maintain healthy, strong teeth. We also employ state-of-the art laser dentistry to enhance tooth and gum health. We also know that cosmetic dentistry treatments can make patients feel more confident, and social, which is why we are happy to offer a wide range of cosmetic dentistry options. Dr. D'Alfonso can straighten your teeth with Invisalign, or perfect damaged smiles with porcelain veneers. Take years off of the appearance of your natural teeth with fast, comfortable, and convenient professional whitening treatments. Feel free to contact our office if you want to learn more about cosmetic dentistry; we tailor all cosmetic treatments to suit our individual patients. Suffering from existing dental damage? Don't worry—we have the restorative treatments you need to regain a healthy mouth. If you are missing teeth you may benefit from dentures or innovative, freestanding dental implants. Dr. D'Alfonso can also repair damaged teeth using natural-looking crowns, dental bonding, and veneers.